Since the abrupt fall in the crude oil price in 2014, the energy industry has seen a radical change: an unprecedented adjustment in terms of the sector’s economics, outlook, and, importantly, mindset. Against this backdrop, and arguably like never before, oil and gas operators are seeking to maximise efficiency in exploration and production, while moving towards exploiting plays in deeper, more challenging, and more complex reservoirs. These trends are driving the offshore drilling industry to embrace innovation in order to maximise efficiency and reduce the cost of well programmes. This requirement for an innovative approach was clearly recognised by international oil and gas major Total when it came to drilling a high-profile exploration well offshore Uruguay, South America. Total engaged Wood in a partnership to support the project with a range of integrated solutions for offshore drilling – a unique holistic approach that supports all phases of operations. This article describes that approach, with specific reference to the milestone Uruguay well: the deepest by water depth drilled to date. The approach employed sees the coming together of field-proven specialist software and engineering support, covering every phase of riser operations for the drilling programme from pre-operations global drilling riser analysis through to post-operations assessment and analysis. Simply put, it is an enabling technology that has a significant impact on the cost, and risk, of well construction by, potentially, millions of dollars. The combination of market and technical challenges means the established approach of using fixed or static Well Specific Operating Guidelines (WSOGs), which set out the limits of drilling operations, is simply no longer economically viable for Ultra Deepwater operations in harsh environment. Fixed WSOGs are necessarily conservative because they are based on statistical metocean conditions. They provide confirmation that particular operations can be carried out within certain limits, but they are often unnecessarily restrictive from an operational perspective. For example, adherence may mean operations are unnecessarily shut down because certain metocean conditions have gone past the limit set out in this static document: meaning reduced productivity and higher costs waiting on weather. From the development of WSOGs using DeepRiser, a global drilling riser analysis tool used throughout the offshore drilling industry; to forecast and real-time analysis with Optima, an on-board marine riser operations management and planning tool; to real-time operational support and data archiving for post-operations assessment and analysis, Wood’s integrated offering brings together established technologies and approaches, in a new way. Before drilling operations begin, it is necessary to assess the capabilities – and safe operating envelope – of the drilling rig. Global riser analysis is performed to determine the limits of operation and fatigue life of a complete system, from conductor to drill floor, during all conditions of operation. Using statistical metocean conditions for global drilling riser analysis, the WSOGs are determined using Wood’s proprietary software: DeepRiser, an advanced finite element riser modelling tool. WSOGs are unique to each site, and depend on a number of factors including vessel characteristics and equipment limitations, as well as water depth and metocean conditions. Combining an intuitive graphical user interface with powerful analytical capabilities, DeepRiser allows complex models to be created in a relatively short period of time, increasing productivity and enhancing well construction economics. Precise pre-operations engineering requirements depend on the nature of the operations, the risks identified, and the level of assurance needed by the client. Total’s Raya-1 ultra-deepwater well is located about 400 kilometres from the seaside capital of Montevideo, Uruguay, South America. 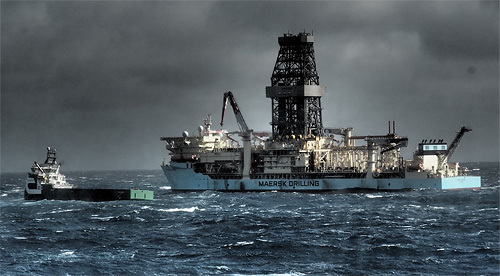 The well was drilled using the Maersk Venturer, a 6th generation ultra-deepwater drillship owned by Maersk Drilling. In 2015, the pre-engineering work – global riser analysis – was completed at Wood’s Rio de Janeiro site. This campaign was characterised by a substantial water depth – 3,400 metres – at the time of writing still the deepest well, by water depth, ever to be drilled in the oil & gas industry, as well as particularly harsh weather and metocean conditions, which presented a number of unique operational challenges. In terms of integrity assurance, the hostile, stormy conditions meant activities such as riser stack up design (analysing the best approach in terms of added buoyancy for all phases of operations) and vortex induced vibration analysis (to identify the best strategy for VIV mitigation including optimum coverage of riser fairings) were of particular importance. Multiple trade-off studies were required to optimise the riser configuration for the frequently-conflicting requirements of connected operability, hang-off performance, and emergency disconnect performance (riser recoil), etc. Once drilling operations have begun, forecast analysis provides the essential capability to assess the feasibility of operations in forecast metocean conditions: presenting a more accurate picture to eliminate the costly conservatism associated with static WSOGs. The forecast period can range from short-term conditions (between 12 and 24 hours in advance) to confirm that ongoing operations (such as connected mode drilling) can continue. It can also look at the feasibility of critical operations such as riser deployment and retrieval, as well as storm hang-off, for anything from a few days to a week ahead. Connected mode operability – calculates the operating envelope for connected modes of operation. Drift-off – calculates the vessel drift off path, the alert offsets and point of disconnect for the dynamic positioning power loss scenario. Hang-off – determines if the riser can be safely hung off in forecast conditions. Riser deployment/retrieval – determines whether a riser can be safely deployed or retrieved based on riser tension, stress and the risk of binding in the diverter housing. 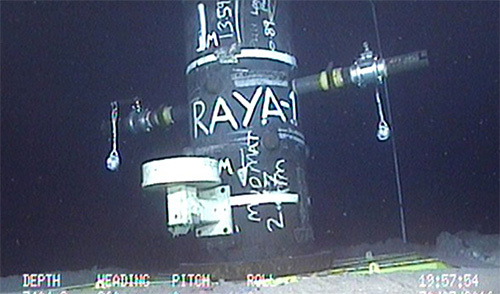 Riser disconnect – determines the excursion of the riser and lower marine riser package/blowout preventer (LMRP/BOP) stack after a disconnect, assessing the potential impact on subsea infrastructure. Dual activity/simultaneous operations – assesses the potential for clashing between the riser and any equipment deployed. Casing running – examines the feasibility of running well casing in the forecast metocean conditions. Drift running – computes the required track where the vessel is upstream of the well and riser is deployed as the vessel is allowed to drift down to the well. Riser transiting – assesses the potential for clashing between the riser/BOP stack and other infrastructure when the vessel is being moved between locations. Drilling operations for the Raya-1 campaign began in March 2016 and were completed in June 2016. The next stage of this holistic solution was driven by the recognition from Total that the WSOGs in this case presented a conservative approach. 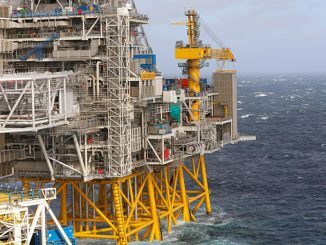 Here, Wood provided 24/7 cover using two engineers on board the rig, equipped with Optima-Offline and DeepRiser software – which had been used in the pre-operations phase – to simulate operations based on actual forecasted metocean conditions. The team took weather forecasts, looked at what operations were due to be conducted, then simulated them to see if they were feasible in those metocean conditions. At one point, stormy weather was forecast, and to assist operator and rig contractor in decision making process, information had to be provided whether the riser could safely stay connected to the well, or if they needed to disconnect it and consequently which hang-off mode to select. That was a multi-million-dollar decision because, once disconnected, there is inevitably a wait for favourable weather conditions before safe reconnection. Had the decision been based on the WSOGs and pre-engineering results, the team would have disconnected; however, the Wood engineers were able to assist operator and rig contractor in the decision process, showing that, based on forecast conditions, it was safe to stay connected to the well. This added significant value for Total, representing substantial savings: had the riser been disconnected and retrieval required, the time taken to retrieve the riser, wait for suitable weather conditions for re-connection and then to deploy and re-connect the riser, would have been at least six or seven days, at a cost to the project of approximately USD 1.4 million/day, so avoiding disconnection saved this significant additional cost. In fact, there were at least three occasions during the drilling campaign where disconnection of the riser would have been required based on the fixed WSOG, but where this was avoided through the use of forecast analysis. While forecast analysis is a means of planning operations, real-time analysis using Optima-Online monitors drilling operations while they are in progress: providing continuously updated guidance for operational decision-making. The on-board data acquisition system automatically extracts relevant operational data from a range of rig systems, inputting this into the global drilling riser model, which produces real-time operational guidance. This information is used to calculate the rig’s operating envelope, optimum position, and best top tension as well as the alert offsets for the drift off scenario. These results are shown along with critical riser-related parameters such as flex joint angles, top tension, tensioner stroke, telescopic joint stroke, BOP and LMRP connector loads, riser stress, and are all updated in real-time. Additionally, critical well parameters such as wellhead bending loads and conductor stress are also displayed. In early 2016, Optima-Online was deployed as a back-up to the Maersk Venturer’s existing riser monitoring system for the Raya-1 deepwater drilling campaign. 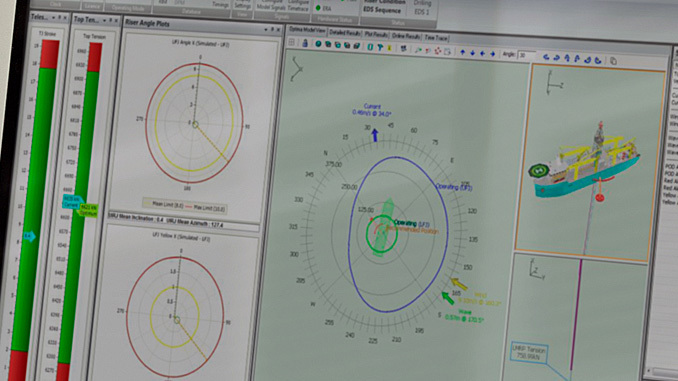 The primary objective for this project was to provide real-time monitoring of flex joint angles over the course of the drilling programme, as well as continually update guidance on the operating envelope for the rig, the optimum rig position, and the alert offsets for the drift off scenario. Here it was connected to the rig’s dynamic positioning system, and it received information continuously on the position of the rig relative to the well, the heading of the rig, as well as the top tension applied to the riser. The deployment was supported by Wood personnel who were on board the rig for the duration of the campaign, as well as with a real-time link from the system to the company’s onshore personnel to monitor and provide additional guidance. Additionally, some of the real-time information received (specifically the rig heading and seastate measurements) were also used in forecast analyses looking for the optimum rig position to maximise the operating envelopes. 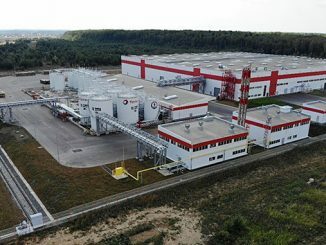 The next step in the evolution of this holistic solution is an obvious one: use the vast amounts of data generated by the forecast analysis and recorded by the online monitoring system to assess specific operations after they have been completed and identify lessons to further optimise operations. Modern drilling rigs are equipped with a wide range of systems that carry out various functions in support of well construction. Many of these systems generate and record swathes of operational data, yet this is rarely consolidated to a single location, much less examined to help identify potential operational efficiencies or lessons learnt. For example, during the Uruguay drilling campaign, BOP stack inclination angles that were measured during a square-pattern test undertaken by the rig were used to calibrate the soil model used in the Optima and DeepRiser analyses. Soil properties are often a significant source of uncertainty in global drilling riser analysis, so it was possible to reduce conservatism by using the calibrated soil data. With Optima-DataTrac, data acquired on the rig is archived for post-operations retrieval, assessment and analysis: providing the capability to assess the impact of operational decisions and capture lessons learnt to maximise efficiency, productivity and safety for future campaigns. This solution can introduce meaningful efficiencies that make a measurable difference to drilling costs – a significant part of the exploration and production cost – while considerably de-risking operations. For Total’s Uruguay drilling project, the approach has been an undoubted operational success, significantly improving the efficiency of the drillship when compared with pre-drilling expectations. Despite the challenging environmental conditions and the extreme water depth, the approach helped the drillship to achieve an uptime of 88% during the campaign. Wood’s extensive drilling, completion/workover and conductor riser engineering expertise, as well as its advanced digital solutions, underpin the approach. A system that perfectly illustrates innovation by taking a suite of existing, proven technologies, and combining them to create a holistic offering that adds real value. 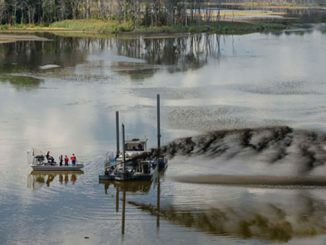 In short, the approach taken by Total and Wood may be part of the answer to the myriad challenges the offshore drilling industry faces today. And make no mistake, answering those challenges – and safely effecting a transformation in field economics – is key to securing a vibrant, and viable, future for the sector as a whole. Donogh Lang is Director of Drilling at Wood plc. Matthieu Pecoits is a Drilling Engineer at Total.